A perfect sized hatchet for camping, cutting small firewood, and fine carving. The Almike is a life long all-purpose tool for the garden, camp or wilderness survival. 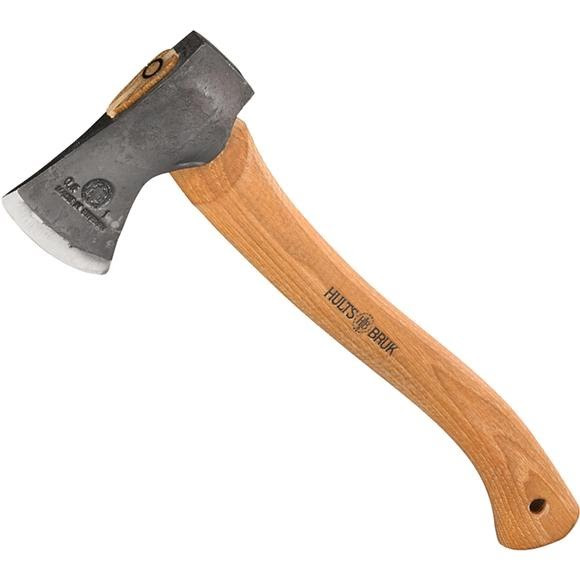 Featuring a classic turpentine pattern axe head intended for tasks such as making kindling, doing light clearing and any number of backcountry jobs. The axe can be worn on a belt or easily tucked into a backpack. Overall Length Handle Length: 16"